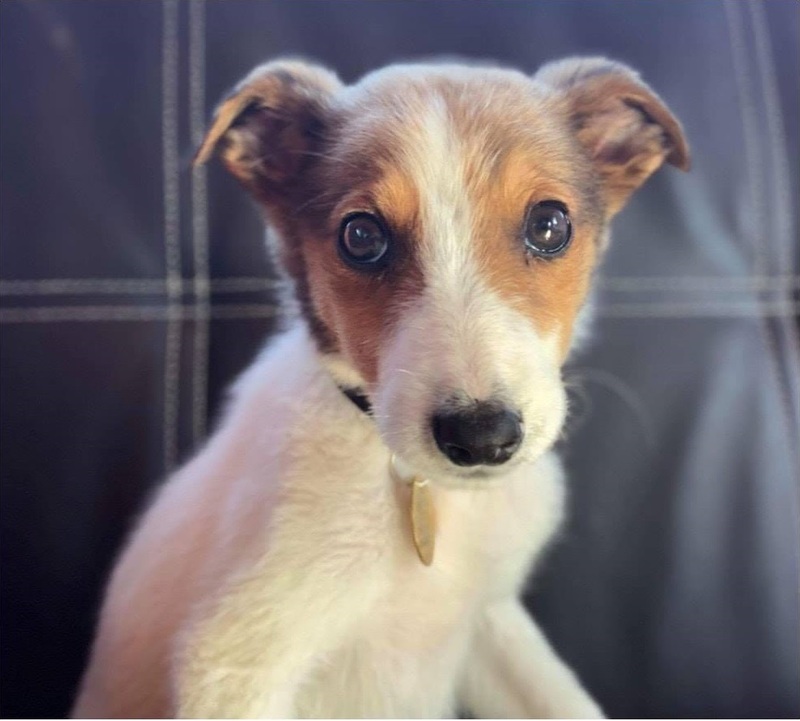 Eduardo is a 7 week old male lurcher possibly terrier mix. He will be medium size when full grown and will be ready for adoption when he’s about 10 weeks old. Eduardo is a sweet, loving puppy. He’s enjoying learning all the new things in the world. He’s great with other dogs and is cat friendly too. He is sleeping in his crate at night, learning how to walk on a lead and getting used to travelling in the car. Eduardo will need plenty of socialisation and on going training in his new home. He will need at least one daily walk, along with playtime. He needs a home where someone is home most of the time, at least while he’s still young. Another dog canine would be a huge plus, but not essential. 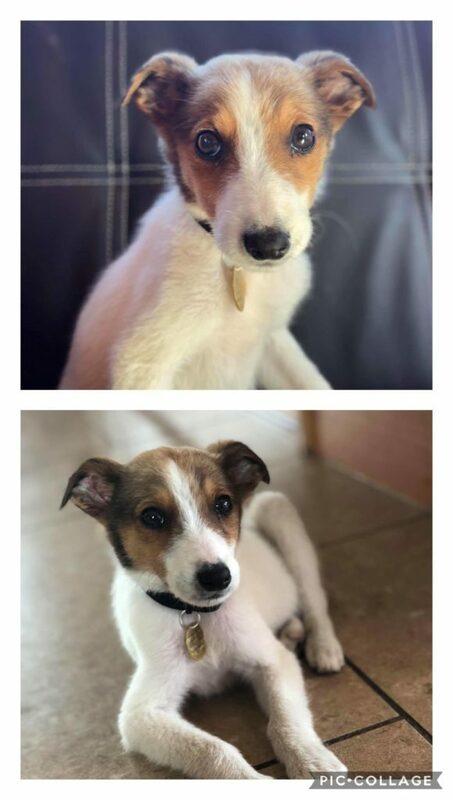 Eduardo will be fully vaccinated and microchipped before rehoming.